All governors have joint corporate accountability, however, successful governance requires a balanced mix of skills, knowledge and experience of individual governors that is directed effectively to ensure work is equally shared. To ensure individual governors are empowered to actively participate in the work of the governing board, they must have up to date knowledge, the right skills and remain motivated to gain the experience that can only be gained with the passage of time. It is our aim to see governors, over time, thrive as ‘active participants’ in the work of governing boards, supporting each other by actively sharing their experience. 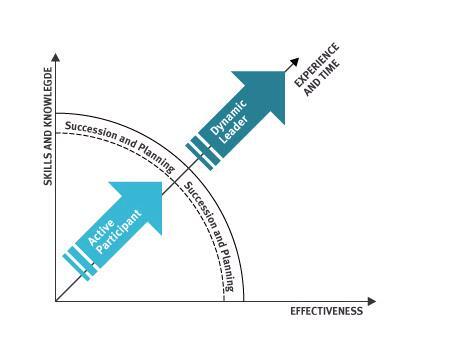 For governors with the personal interest, we want to see them grow through targeted succession planning into ‘dynamic leaders’ of work groups, committees or governing boards. We believe it is essential that all governing boards understand their strengths and identify any weaknesses in the collective skills, knowledge and experience of individual governors and recognise the need for governors and governing boards to know how to use individual and collective skills to be effective and anticipate the future through targeted succession planning. It is our aim to support this need and provide effective support, guidance and training programmes designed to enable governors and governoing boards to deliver their core strategic functions. As you are new to governance you are advised to find out what local induction and mentoring support is provided by your governing body. Your clerk or chair of governors will be able to assist you with this. The Governor and Clerking Services article ‘The first 100 days of being a school governor’ provides governors with some useful links and considerations that we would recommend you read to support you in the early days of your role. To find the dates and venues most suitable for you please visit the East Sussex Learning Portal.